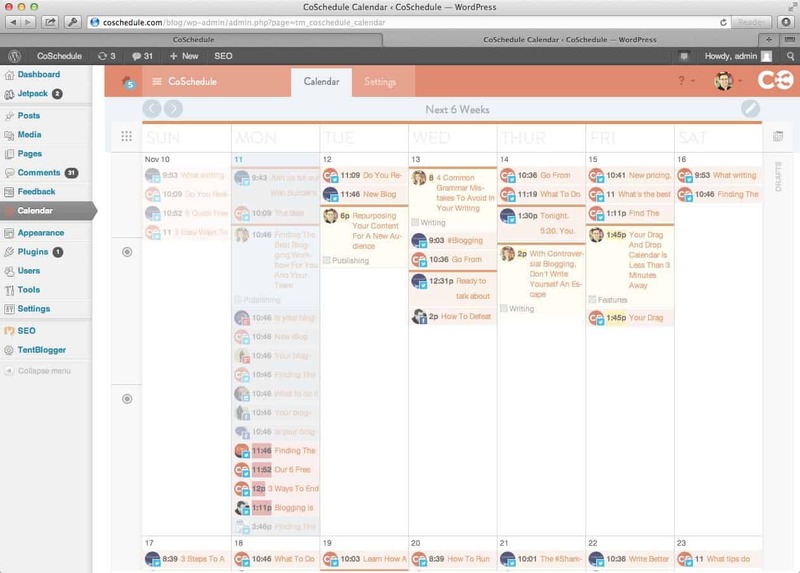 Have you heard of coSchedule? Have you heard of coSchedule? CoSchedule is a drag-and-drop editorial calendar for WordPress that puts your blog posts and social media messages on the same schedule. 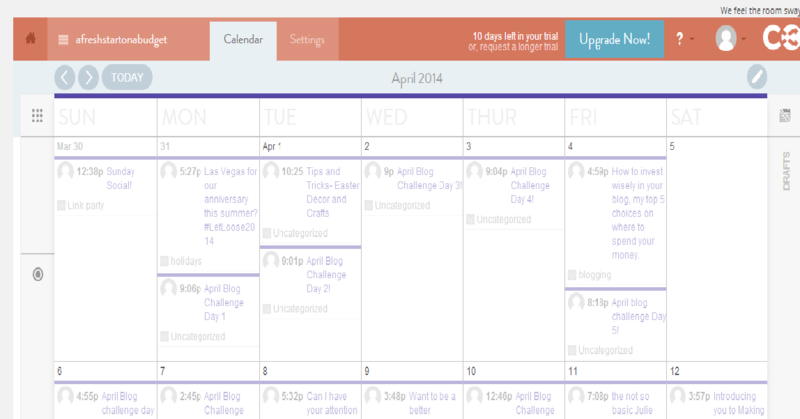 I have tried lots of ways to organize my posts and Social media schedules and this is the one I’ve loved best so far. I heard it about this program from other bloggers and am so glad that I found it and even in the few months I’ve been using it I already feel like it is helping me be more efficient with my blogging and promoting my posts. Here is a short little video to better explain how great this is. I am by no means an expert but I am becoming more and more familiar with coSchedule and the great point is that for only $10 a month it is completely worth it to me to continue to use this program. You get a lot for your money because you are able to connect WordPress, Twitter, Facebook, LinkedIn, Buffer, and even Google+ Pages. Here is an example of my April coschedule calendar. You can see I am using it quite a lot and it is helping me to post more on Social media about my blog posts, which in turn gets them seen more. It’s so light because these dates were already past when I screen grabbed here’s an example from coschedule of one with the days coming up so you can see they are brighter. One of my favorite features is that after you write a post you can schedule your social media post right there to promote your post to your different social media sites. The best thing about CoSchedule is that as you drag a post from one date to another, your social media messages move with it. This allows bloggers to create a series of messages that promote their blog posts on a rolling schedule. These are the key features of the program and the reasons why it would probably be a great fit for your blog. Right now I am a blogger that works on my own I don’t have a team or a business that needs other people to run my business. At some point though my hope is to grow my blog into a business and from what coschedule can do it will help me be able to communicate with my team and make sure that the business is all on the same page so that it grows in the fastest and most efficient way. I’m excited that this calendar is a great resource for me and also something that I can continue to use as my business grows in the future. I just wanted reach out and thank you again for this review! It is wonderful to hear how CoSchedule is helping our users save time and promote their content better than ever before! Keep it up, and thank you for sharing us with your audience.